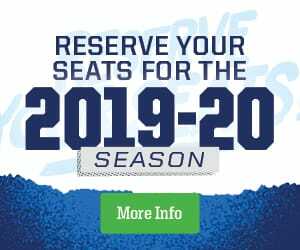 The Manitoba Moose Hockey Club announced today the Winnipeg Jets have reassigned goaltender Mikhail Berdin from the organization’s ECHL affiliate, the Jacksonville Icemen, to the Moose. 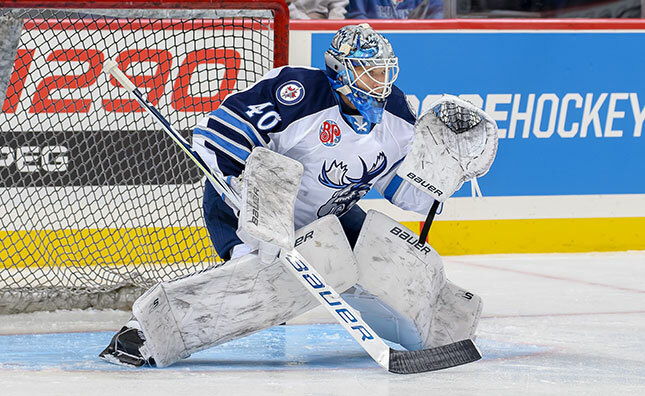 Manitoba also announced goaltender Ken Appleby has been reassigned to Jacksonville. Appleby, 23, has made eight appearances with Manitoba this season while posting a 1-6-0 record, alongside a 4.59 goals-against average and a 0.865 save percentage. In his time with the Icemen, Appleby made five starts, going 1-4-0 with a 0.926 save percentage and 2.87 goals-against average. Berdin, 20, has played in six contests with the Moose this season, rolling out a 3-2-1 record, supported by a 2.76 goals-against average and 0.921 save percentage. The Ufa, Russia native has a 16-8-2 record in 28 ECHL appearances with Jacksonville, backed by a 2.66 goals-against average and 0.912 save percentage. Berdin was a sixth round selection, 157th overall, of the Winnipeg Jets in the 2016 NHL Entry Draft. The Moose open a six-game home stand against the Texas Stars this weekend. Tickets for Saturday’s Multicultural Night at 6 p.m. or Sunday’s Polar Bear Jersey Day at 2 p.m. are available at moosehockey.com/tickets.